Rosy Outlook: Labor Day Weekend's Best Items on Sale! Labor Day Weekend's Best Items on Sale! Happy Friday loves! Do y'all have anything fun planned for the long Labor Day weekend? I have some friends in town so I'm looking forward to lunch and shopping with them! We're also planning to grill out with friends and just get a lot of blog shoots done. There are some fabulous sales going on this weekend so I wanted to share some of my favorite picks! 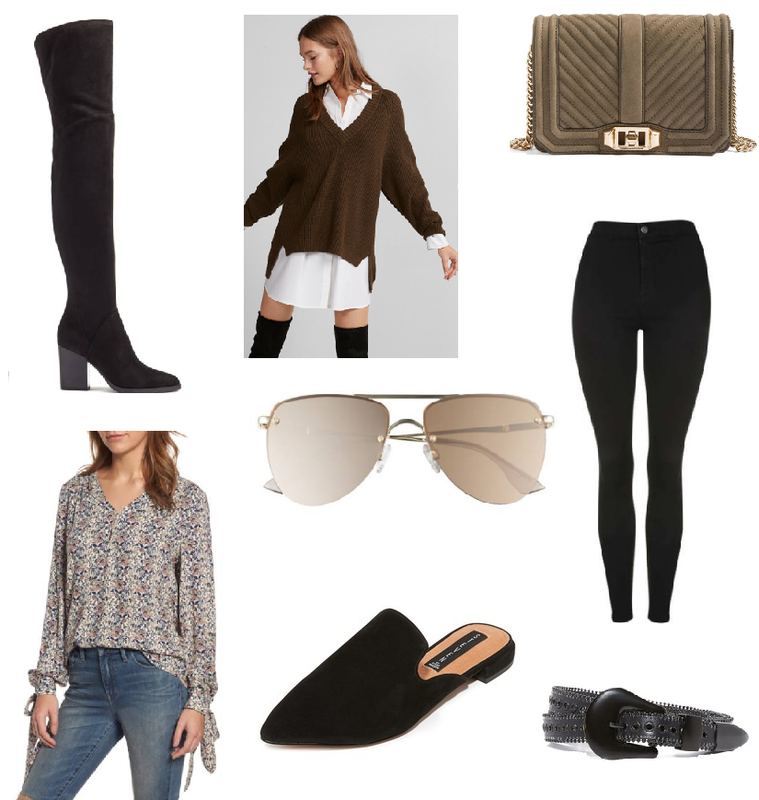 --I noticed that a ton of stuff that was included in the Nordstrom Anniversary Sale is now marked down again so if you missed anything like this Rebecca Minkoff Bag or these gorgeous Marc Fisher OTK boots you can get them now and I think they're even more discounted than they were before! Also love this top, these super cute aviators and y'all know how much I LOVE Topshop jeans. I have these and wear them SO often! As much as I love the Jamie pair, the Joni's are great for me to wear to work or when I don't want any distressing in my jeans. --Express also has 40% off right now and I LOVE this gorgeous V-neck sweater! It's so long and chunky and I am completely olive obsessed right now. Also comes in 2 other colors! --Shopbop has some great markdowns including these chic black mules and this awesome belt. I love how edgy this belt is and think it would be a great statement! I love all those picks, they are all so cute! I've been wanting that Rebecca Minkoff bag! I might have to pull the trigger this weekend!! So excited for the long weekend and all the sales! Those black mules are so fab and would go with so much! Have a great Labor Day weekend, Kelly! Yay to sales! Loving your selection especially the v neck sweater! I want all of this! What a great list!